By this time next Saturday, all of us Printfest exhibitors will be awaiting the start of the private view. I’m now finalising my preparations for next weekend, which for me will begin with a four-hour journey from my home in mid-Lincolnshire next Friday. 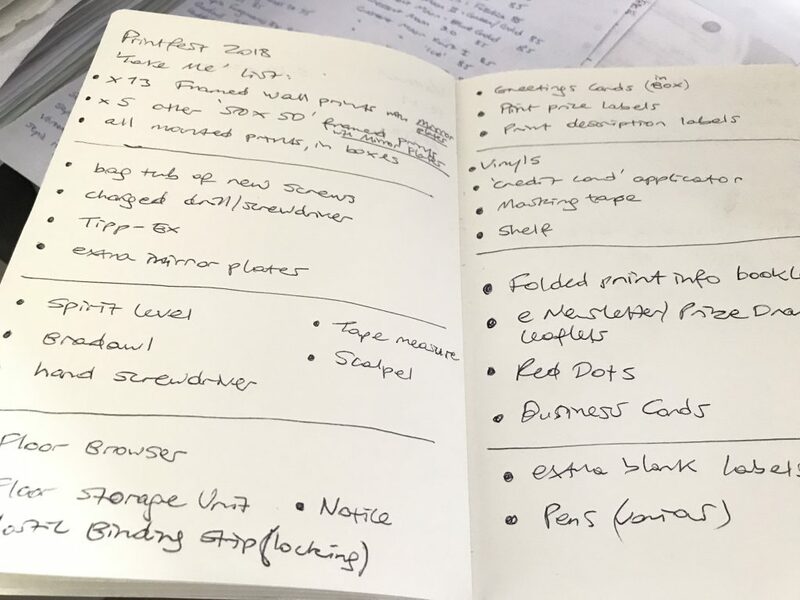 From last year, I learned that detailed preparation is crucial, so I’ve begun by making a long list of the things I have to take, from the right size screws to red dots and spirit levels. I have also made lists of framed and unframed prints and check sheets for sales. Otherwise, in the hectic environment of a busy fair it’s so easy to forget what you have, what you’ve taken, and what you’ve sold. This year, my second at Printfest, alongside around 20 framed and 50 unframed prints, I’ll be taking a box full of ‘Second Chance Cards’. 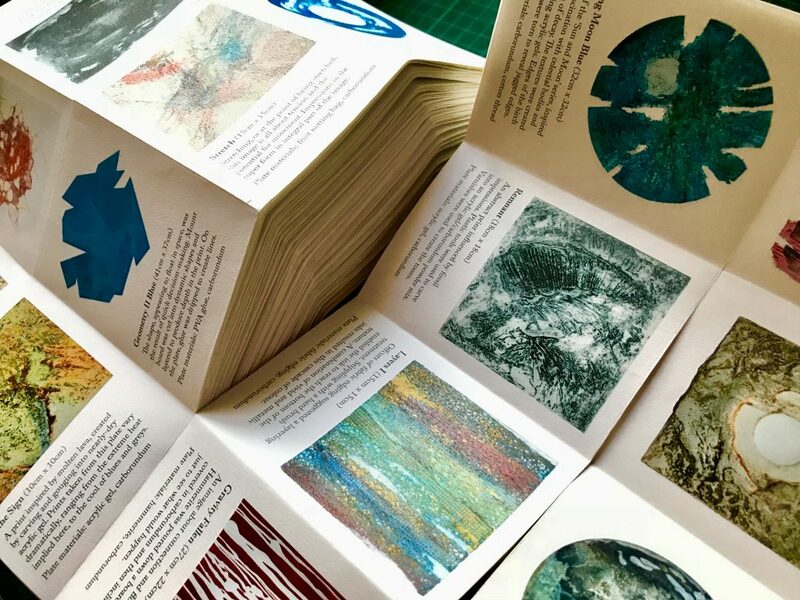 In previous posts I have described their making – stacks of unwanted printed prints were torn into interesting shapes, embellished with gold-coloured leaf and attached to blank cards. I experimented with a few at previous exhibitions over the past year, and they have proved popular, so I’ll be taking around 70 of these. 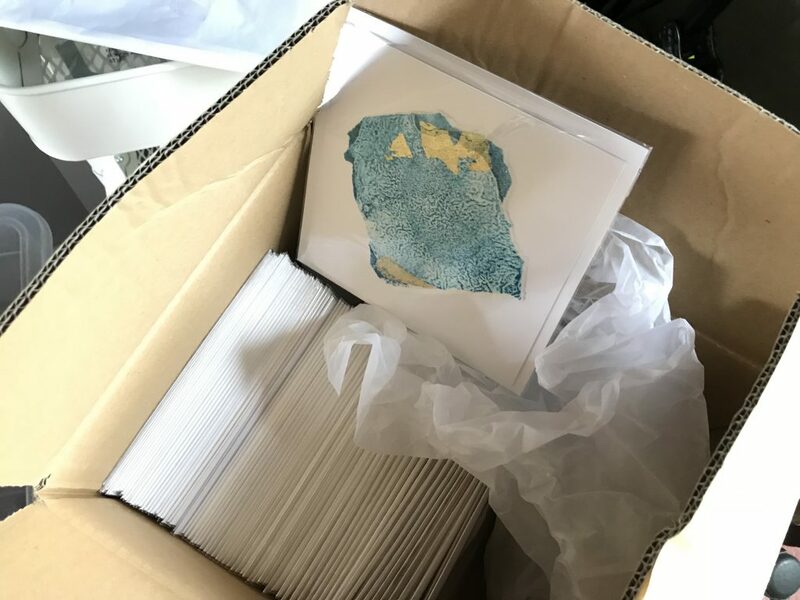 Like my ‘proper’ prints, each card is an original, as the segment is torn from an image which is itself unique. Also new for me this year will be these info booklets. A work colleague (thanks Jez!) suggested that I produce a printed item for people to take from my show stand. This is important when (as I usually am) I’m busy talking to someone when other people are browsing around the stand. Also, even if people don’t buy anything there and then, it’s good for an artist to give something away that acts as a useful reminder of the quality and variety of the work. I learned how to fold this 18-pager from a web article, then spent several days printing and folding them together. 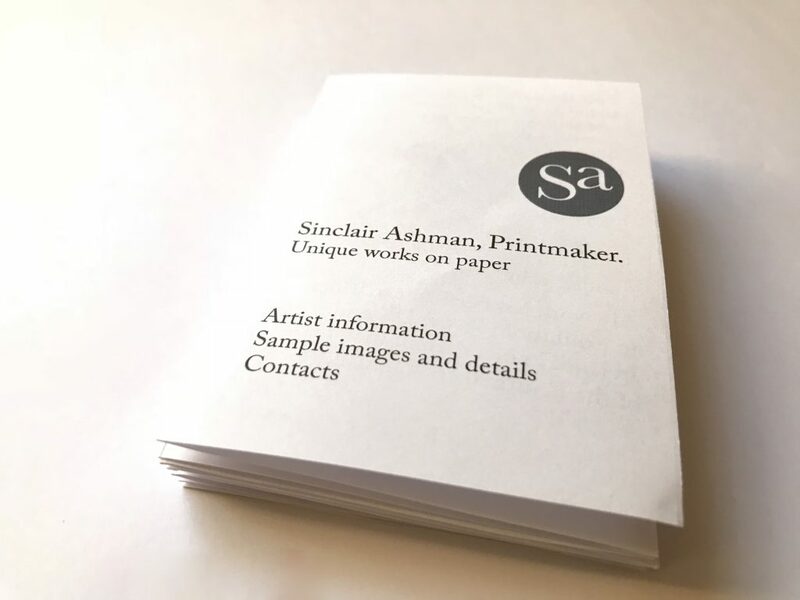 it was a long, hard slog, but it’s been worth it – they look really nice and the uncoated, slightly textured paper feels good too. 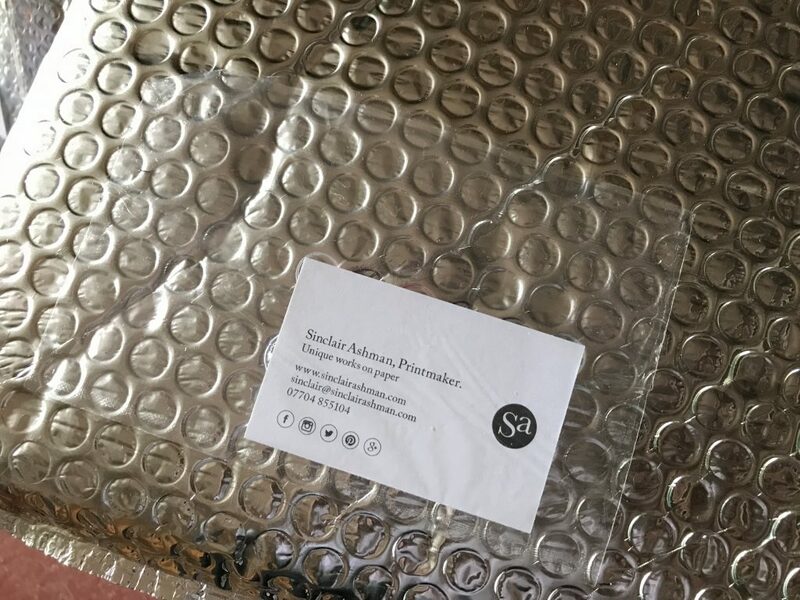 Recently, as I have been contributing to an increasing number of exhibitions and the related transporting of framed images this has entailed, I’ve become much more aware of the amount of packaging I’ve been using. 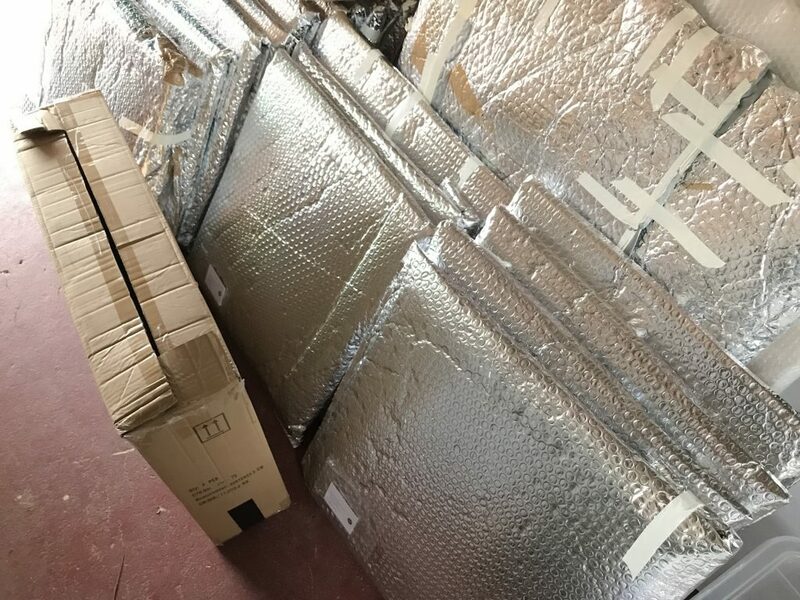 Typically, this has involved using large rolls of bubble wrap, which, even with re-use, inevitably becomes tatty and has eventually been thrown away, with the damaging environmental impacts we are all aware of. Of course, this is not sustainable. So, I decided to increase my number of specialist art packaging bags (these are by Stiffybags). They can (and will be) re-used indefinitely, and protect the artworks much more effectively than bubble wrap. So, I’m just about ready. I already know that Printfest 2018 will be brilliant, because it is so well organised, the visitors are enthusiastic and knowledgeable and the venue is perfect. Roll on next Saturday!